Happy 2019 everybody! Or as some have been saying, the year of positivity and re-energizing. In lue of those sentiments, our team sat down this year to think back to some of our favorite elements (and your favorite elements!) of the past 12 months. Here is what we discovered! The brilliant expression of Maximalism took its place in the spotlight throwing a whirlwind of colors, patterns and a mismatch of era specific pieces across our households. 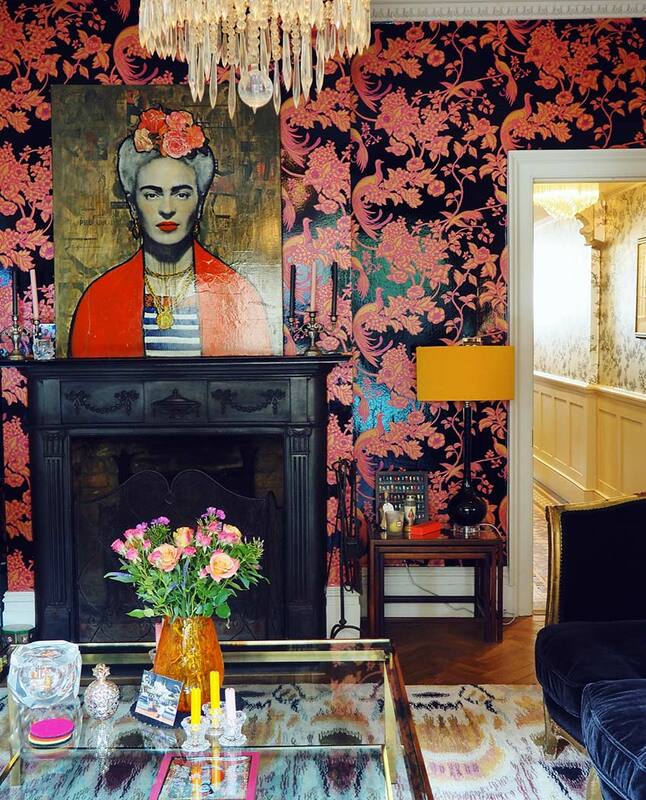 In a brief and almost too generalized definition, Maximalism is a stylistic choice of embracing a little bit of everything and creating a bold space that is noisily and uniquely your own. Check out 2018 Trend Alert: Maximalism Home Decor to learn more about this trend! Good bye angles and hello organic shapes! With a nod to the 60s-70s we will begin to see more and more rounded furniture and home decor this year. Curved back chairs and round seating in particular will be a staple of this trend. See more of what's trending now on our Inspiration Page. This year Arteriors Home stood out in the line up. 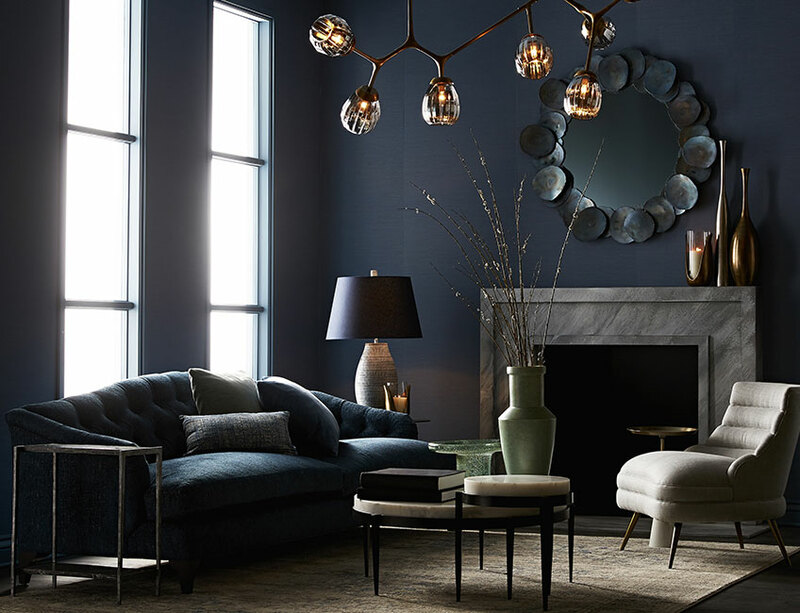 With their mix of transitional and contemporary furniture and lighting, Arteriors has time and time again brought a fresh facelift into our homes. This brand uses artisan techniques and materials when hand-crafting all of their decor and includes over 400 new designs each year, always keeping it current. Browse the full Arteriors collection. We are extremely excited about all the new decor coming from Regina Andrew. Founded by a dynamic duo and married couple Carla Zajac and James Slaven, this brand pays exceptional attention to detail and designs to both inspire and surprise. Regina Andrew also pays attention to the environment they craft their furniture and lighting pieces in. Reclaimed and recyclable materials are used in the creation of their decor whenever possible, and the warehouses and offices are 100% solar powered. See what's new with Regina Andrew! Not surprisingly, blue reigned as king throughout 2018. Whether it was the spa blue of an accent wall or the navy blue of a velvet sofa, homes were filled with different shades of the calm and reassuring hue. 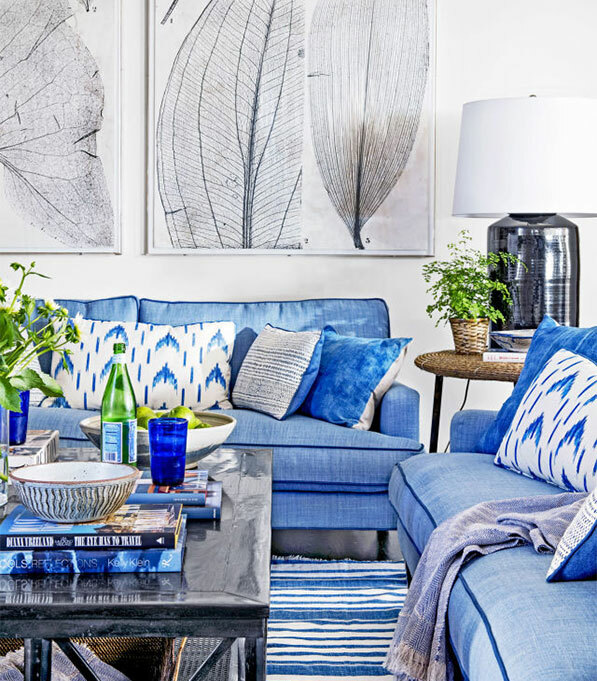 Blue has remained a staple color in home decor for decades because of its timeless nature and flexibility. See how blue has been used throughout the years: Blue Print: Finding Your True Blue. Pantone has announced its choice for the color of the year: Living Coral 16-1546. Representing the fusion of modern life, this particular hue is meant to embody optimism, joy and lively energy. Surprisingly, the color coral is both vivid and animated while still being soft and reassuring. We have seen it appear in home decor and lighting of all styles including area rugs, table top decor, on chairs and lamps, and on throw blankets! 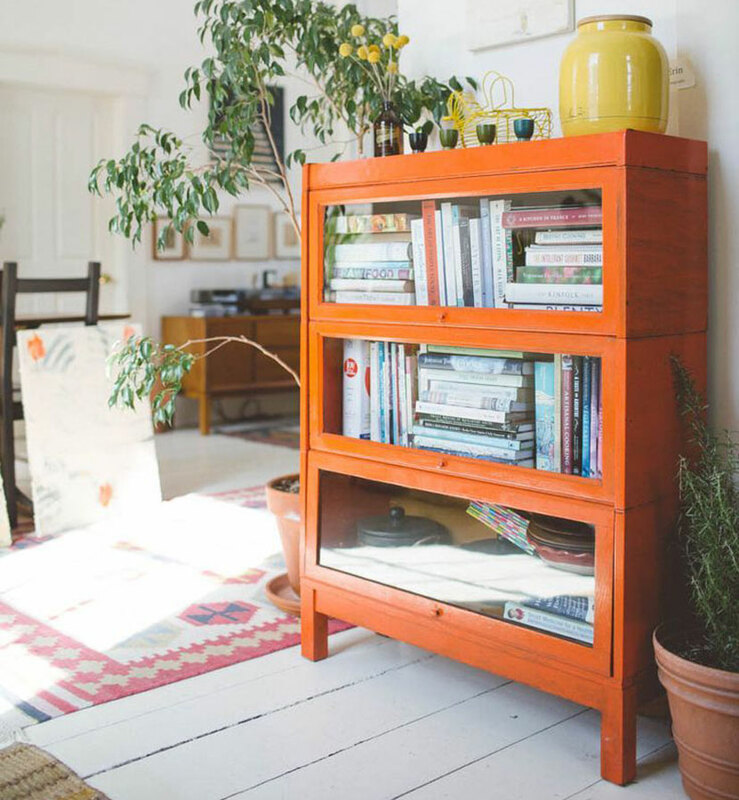 Browse some of our favorite coral pieces so far this year: 2019 Pantone Color of the Year - Living Coral. Your Favorite Decor Piece: Jana Lumbar Pillow 13" x 21"
The people have spoken! The Magnolia Home by Joanna Gaines Jana Lumbar Pillow was our best selling item this year, and it is no surprise why. The simple ivory and black weave allows this artisan pillow to go with almost any decor style. Hand-crafted and available with a poly or down insert, the Jana pillow can also be ordered in a square 22" x 22" size. View the entire collection of Joanna Gaines pillows. Your Favorite Blog Post: "Bold and Bright: A Guide to Colorful Home Decor"
Our most read article on the PLD Post talked about the power of using bold colors in your home decor and how each color can affect the mood of your space. For example, spicy reds add energy and excitement to a room, buttery yellows bring warmth and positivity, and deep purples embody luxury and creativity. Read the full article and discover the mood of your home. This image was the all time favorite of social for 2018 and we whole-heartily agree. The rock texture of the wall is gorgeous, and color palette of the bed spread is cool toned and inviting, and the rug on the floor (Magnolia Home Elliston Rug) is forever calling our bare feet. To stay in the know and see more inspo follow us on Instagram, Facebook and Pinterest. So all and all, not a bad year in 2018! And we can't wait to see what the next year brings. Thank you to all our customers, staff members, designers and inspirations for making this past year possible. Wishing you peace, love and much more decorating in 2019!